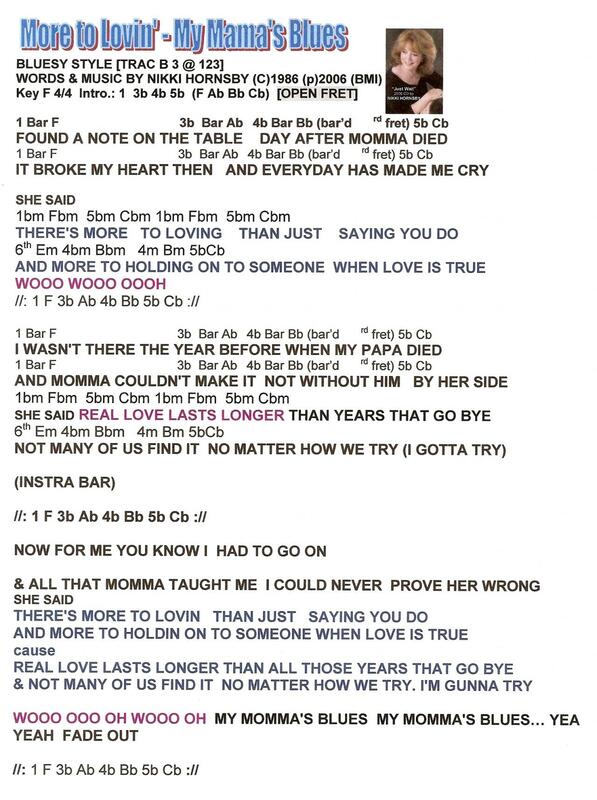 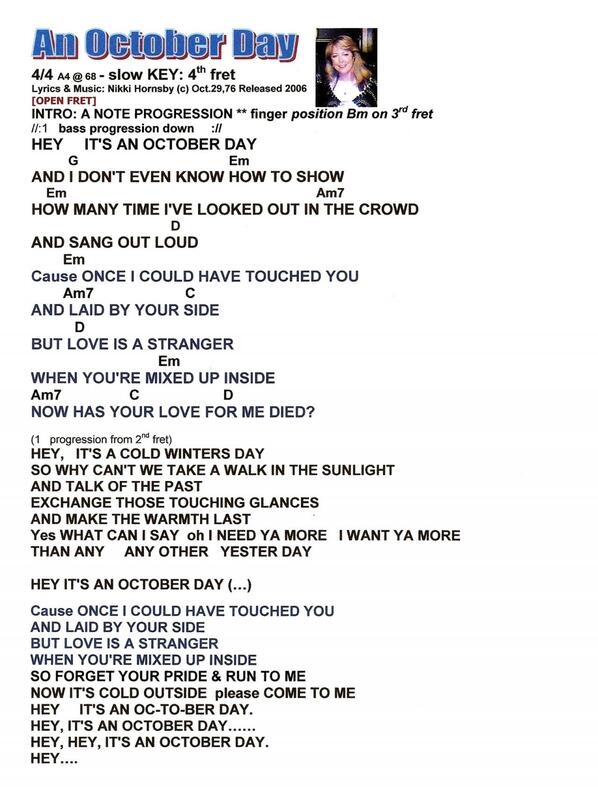 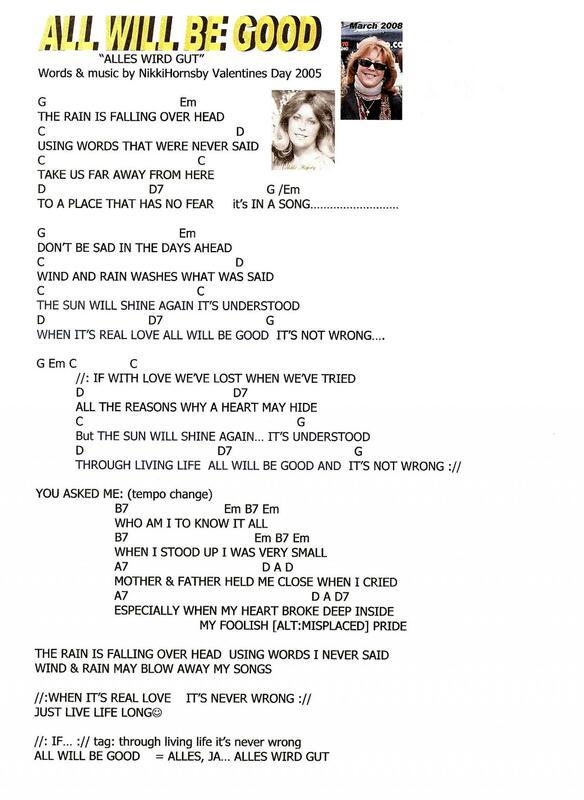 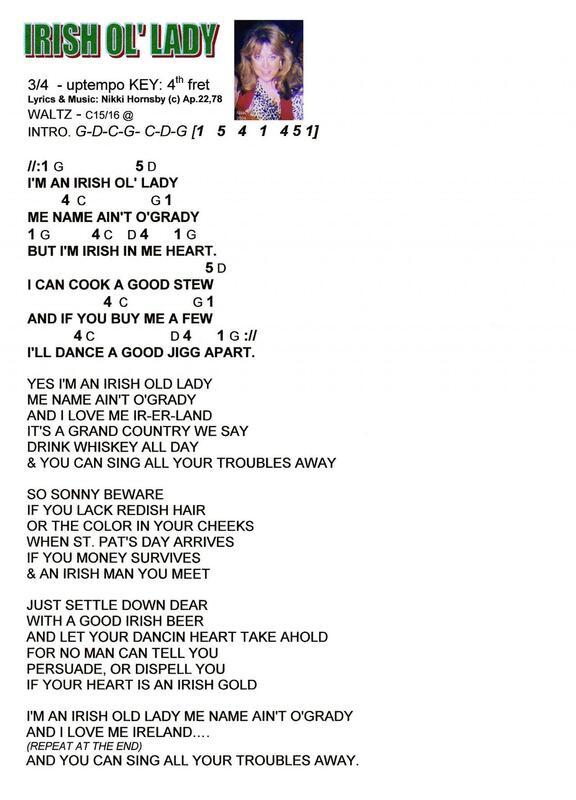 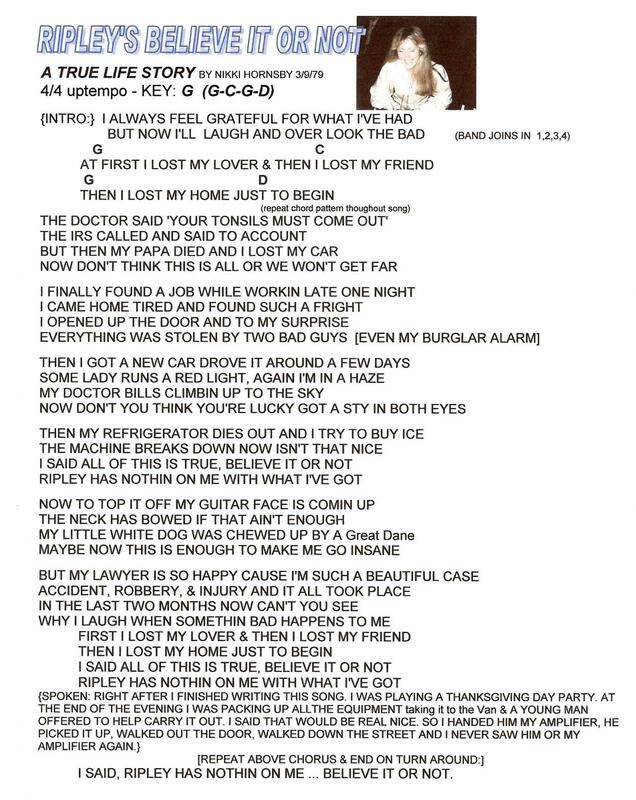 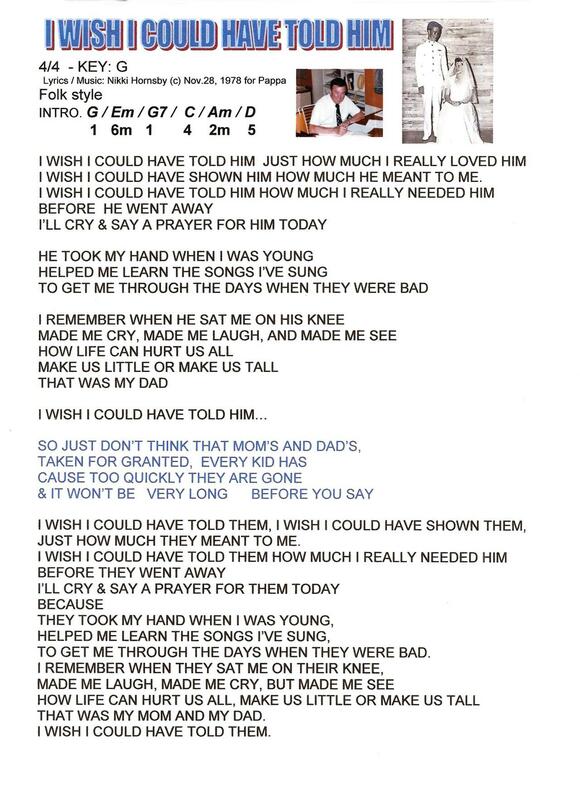 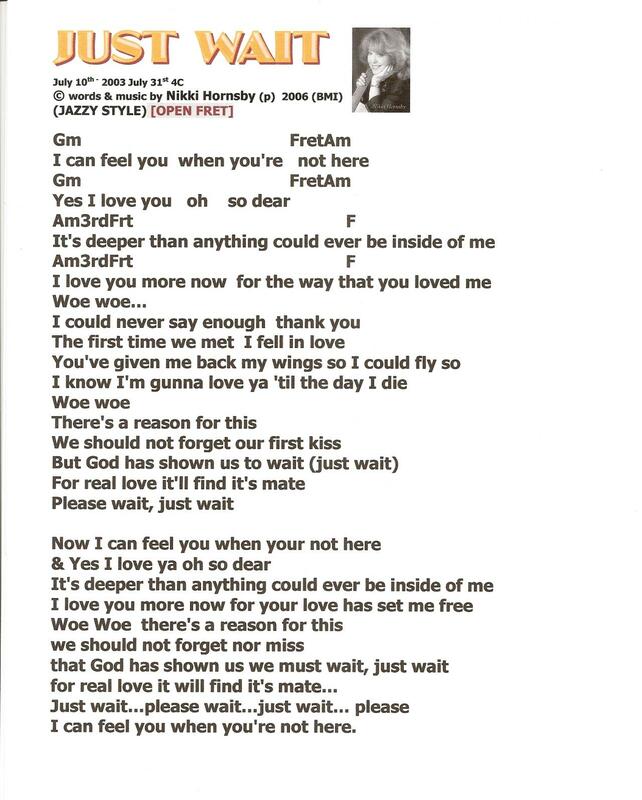 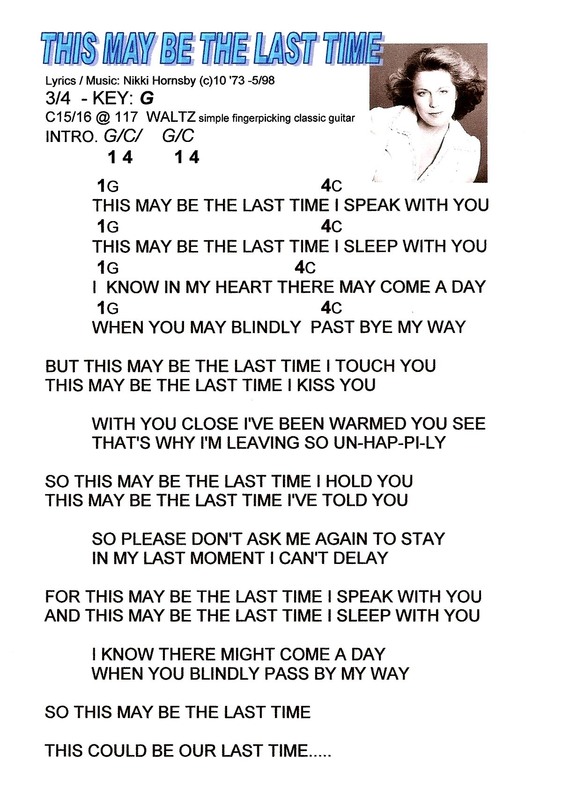 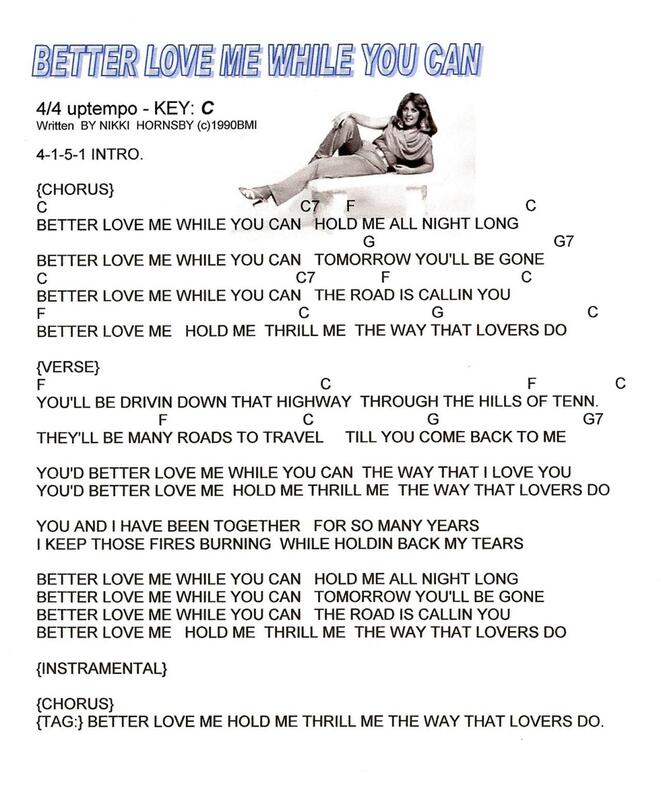 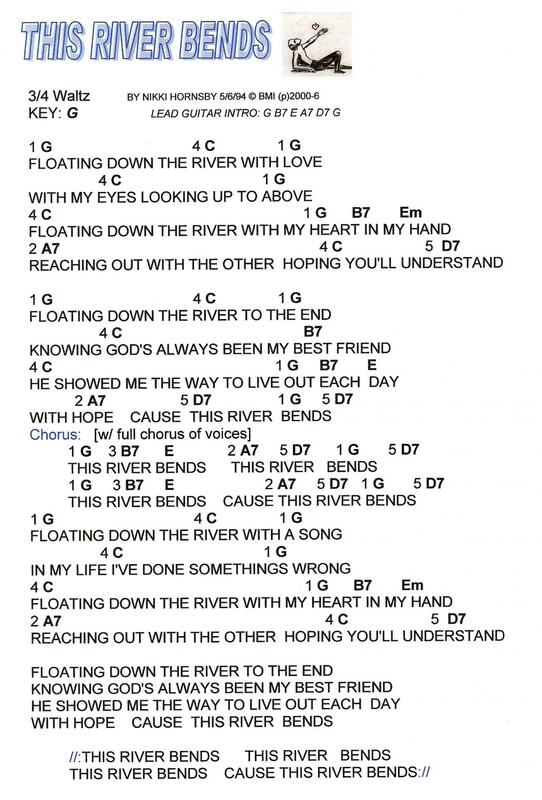 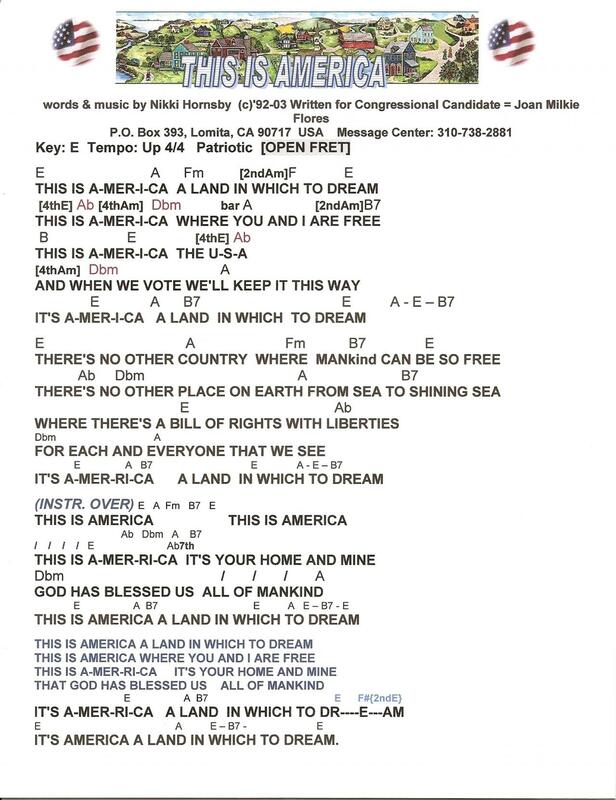 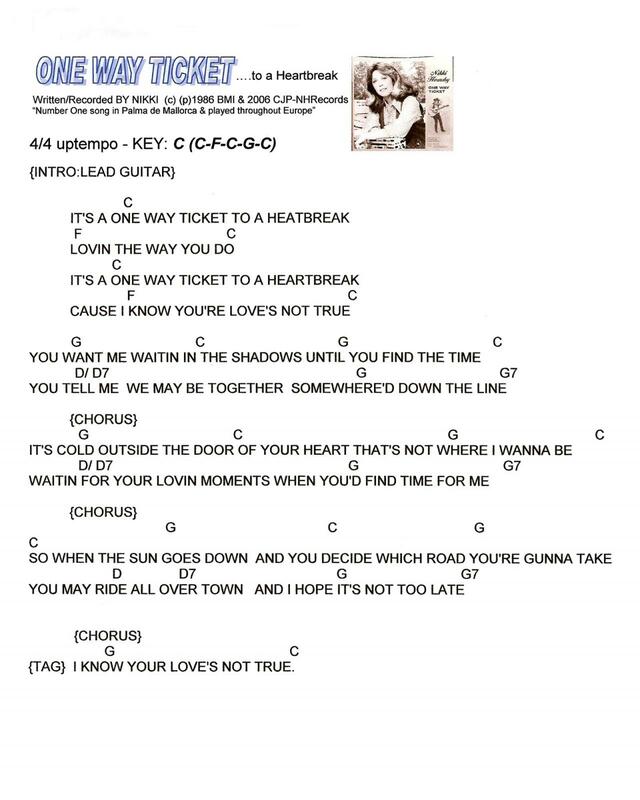 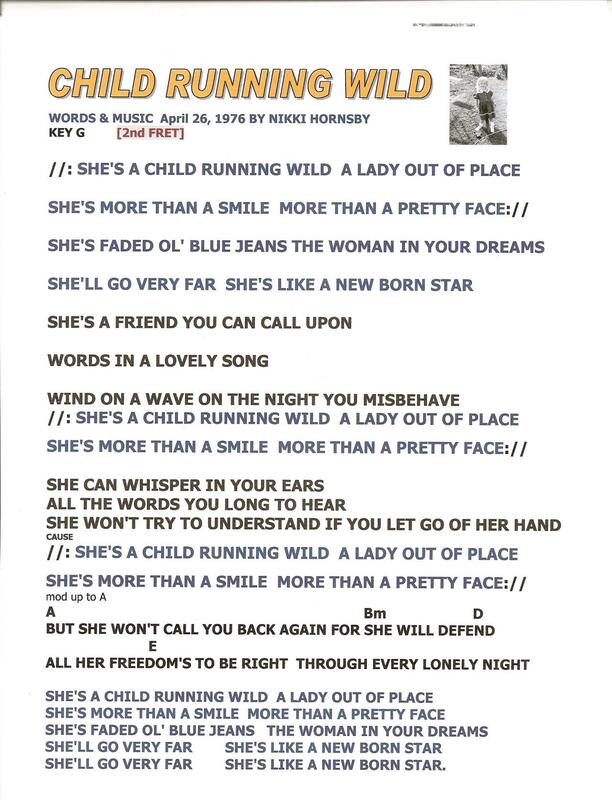 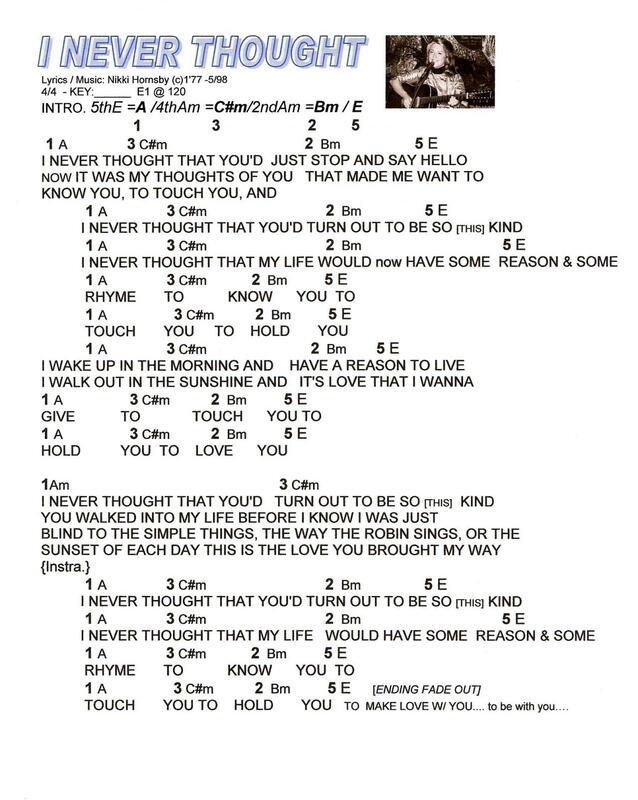 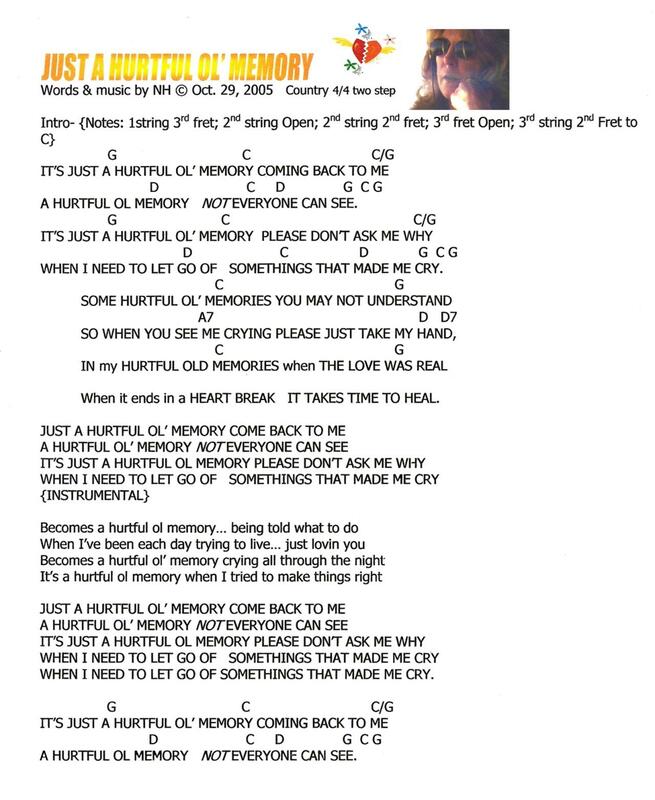 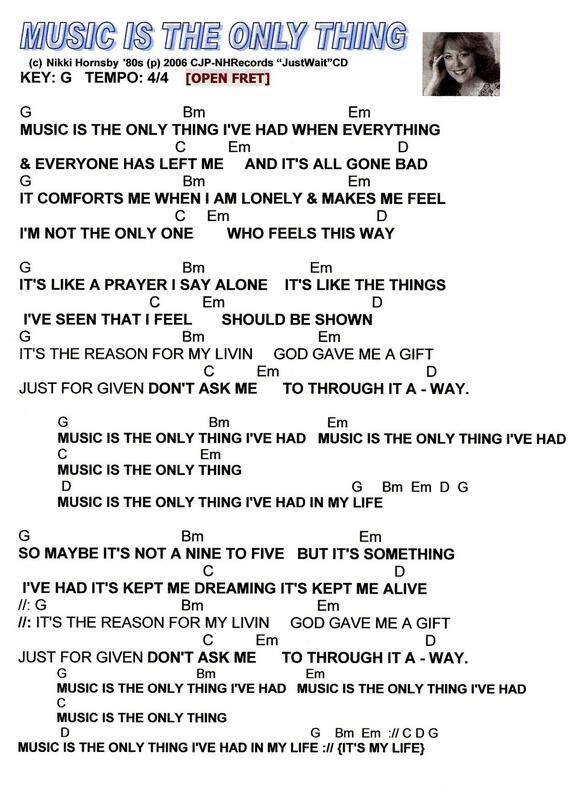 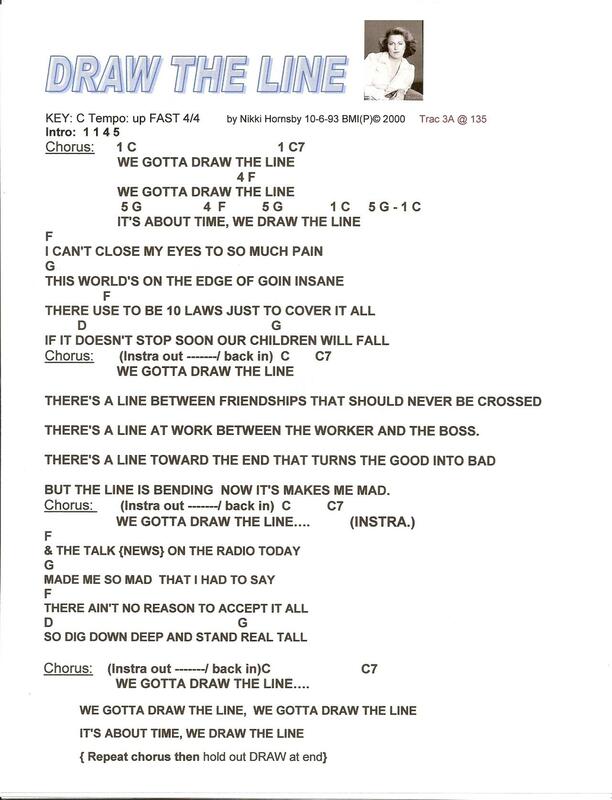 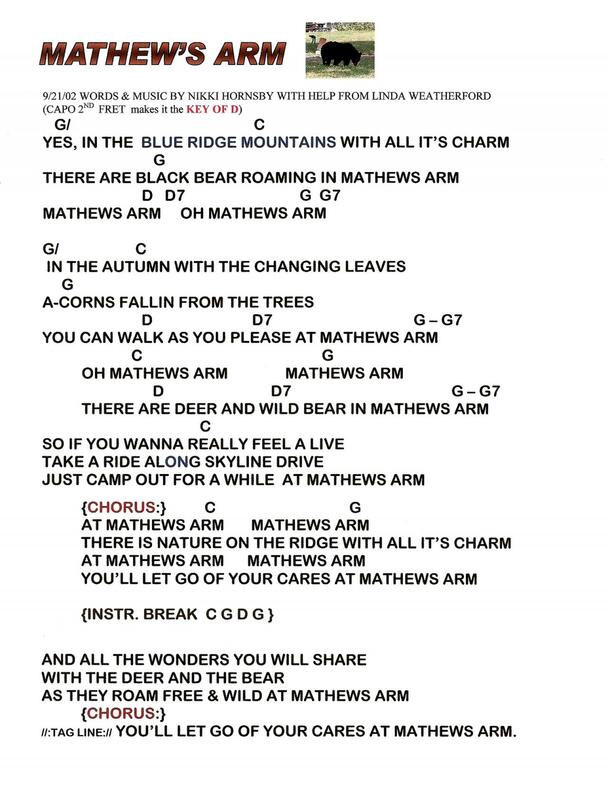 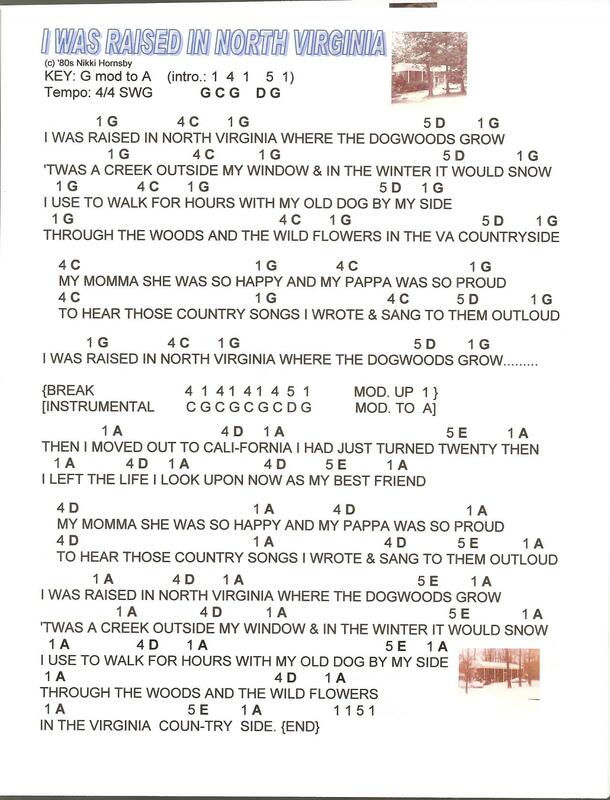 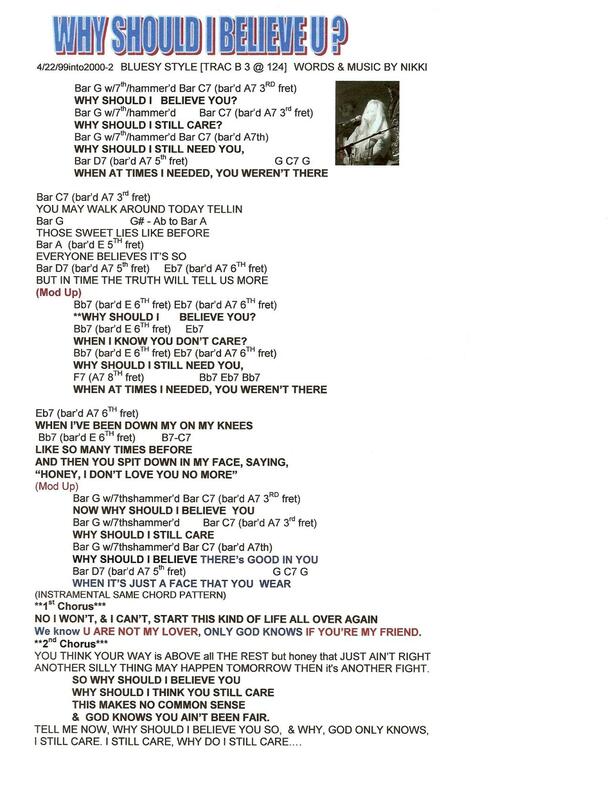 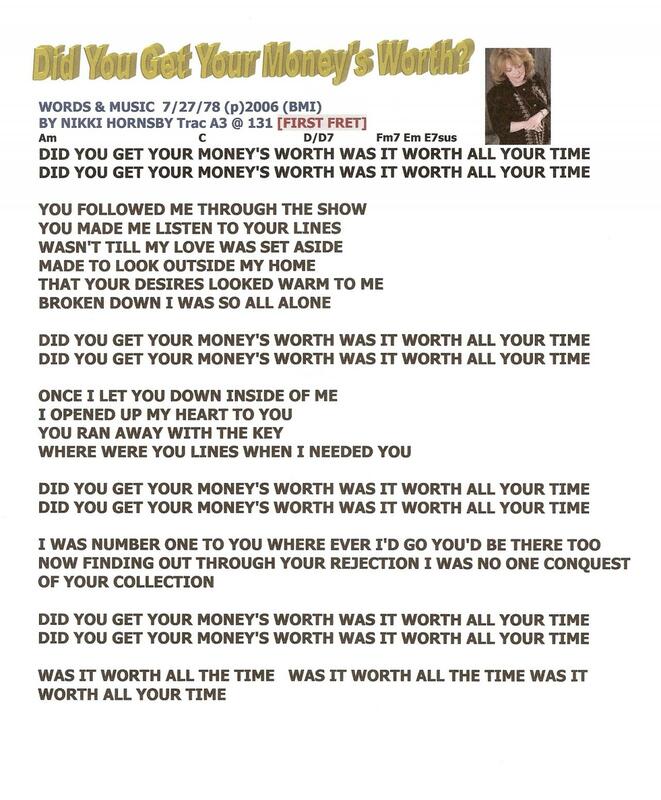 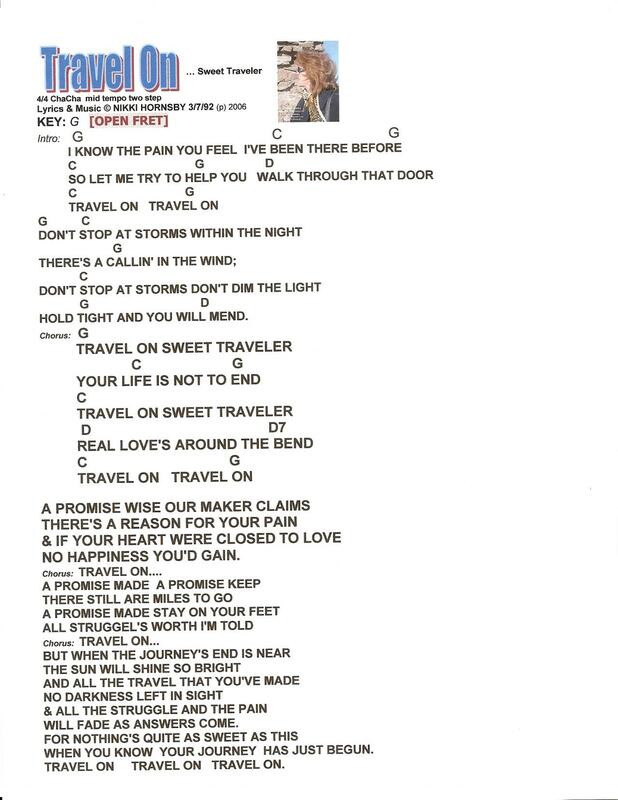 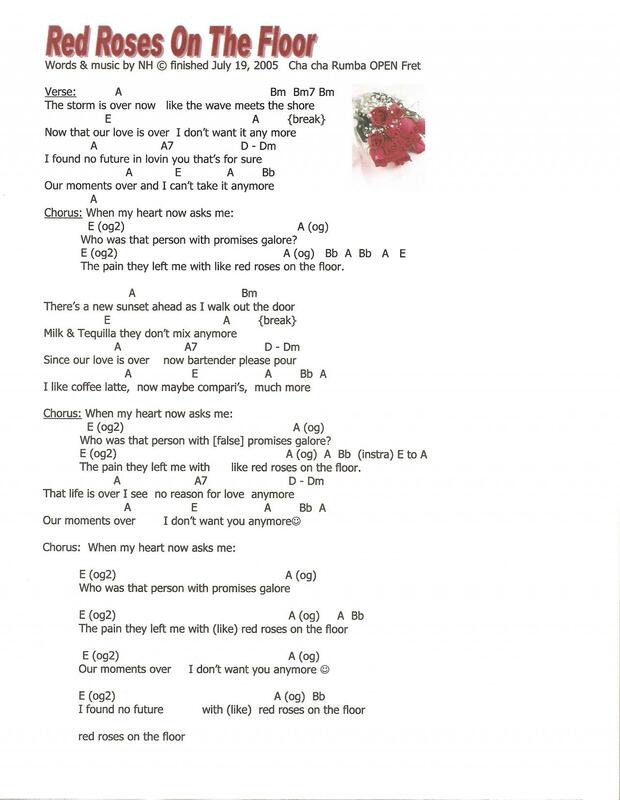 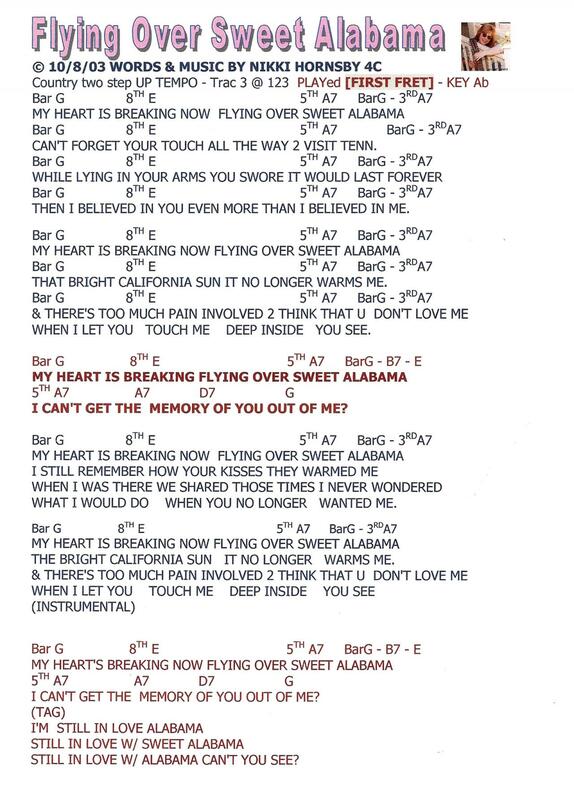 Here you can find JPG files of the LYRICS of a few songs written by Nikki Hornsby (words & music). 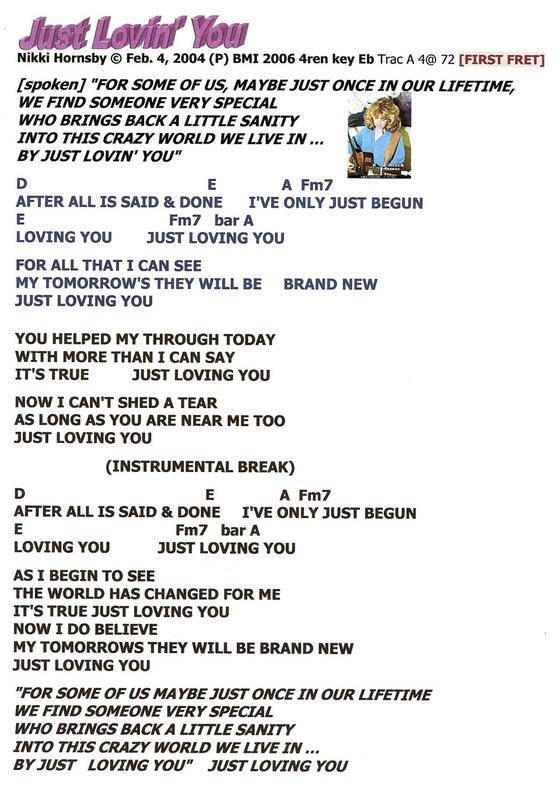 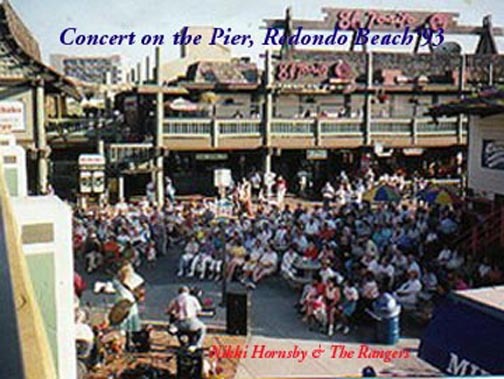 Song from the CD releases plus some songs not yet recorded or released but performed many times live for test marketing in USA & Europe. 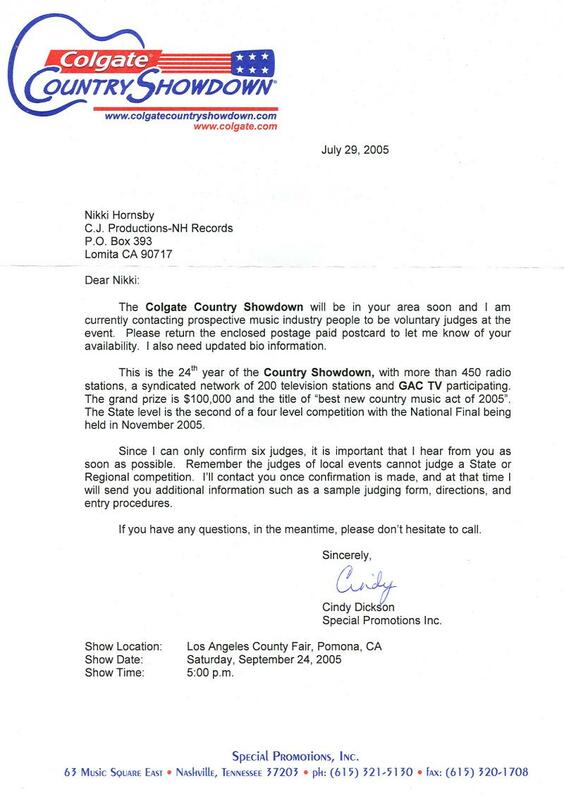 Above: Colgate USA Talent Show invitation for Nikki to Judge again. 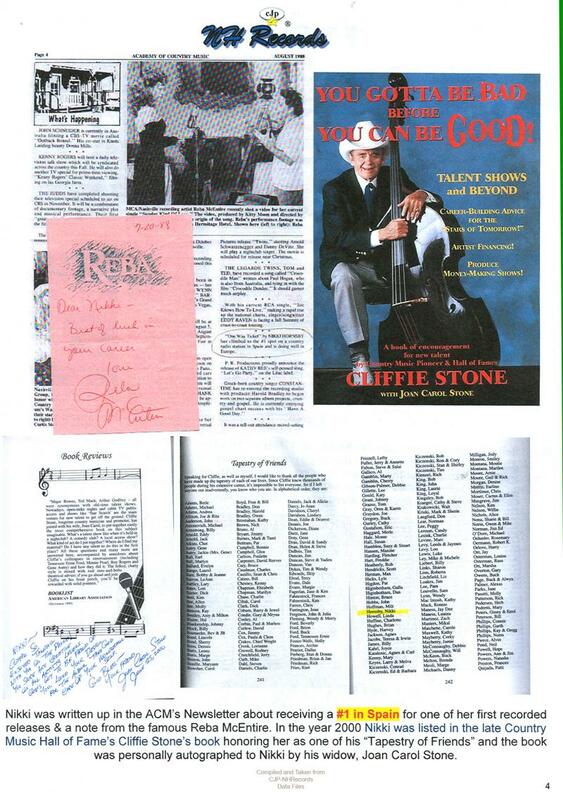 Above: Reba's note of good luck, Spain#1 in ACM Magazine, Cliffie Stone's book w/ Nikki Hornsby mentioned. 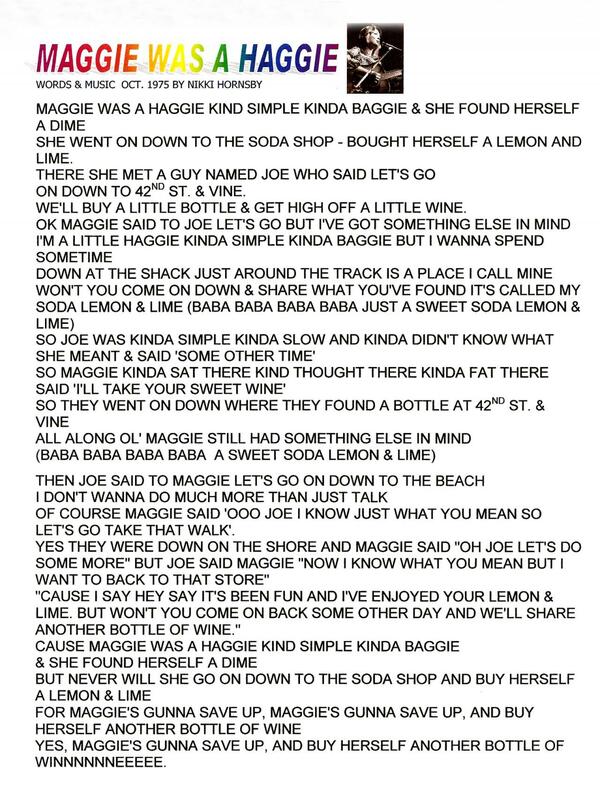 Above: Nikki during a break at club work 80s talking with customers. 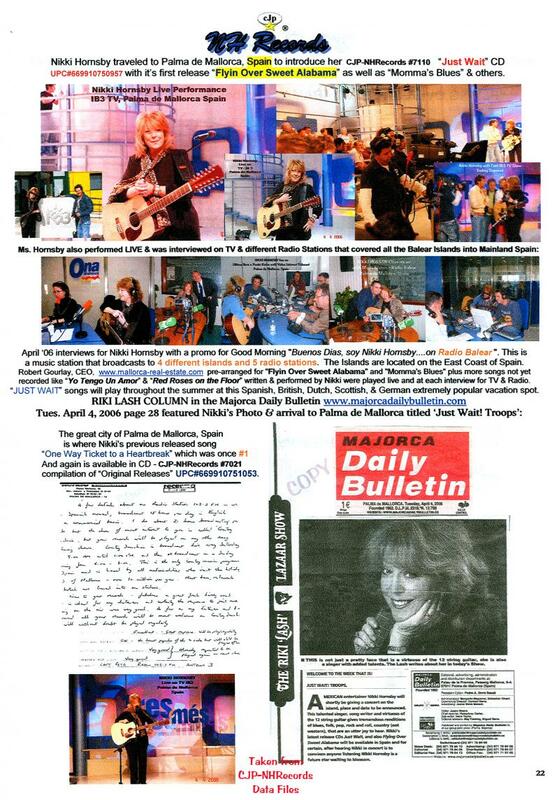 Above Nikki Hornsby 2006 visiting students to share music and below she leads her band doing the same. 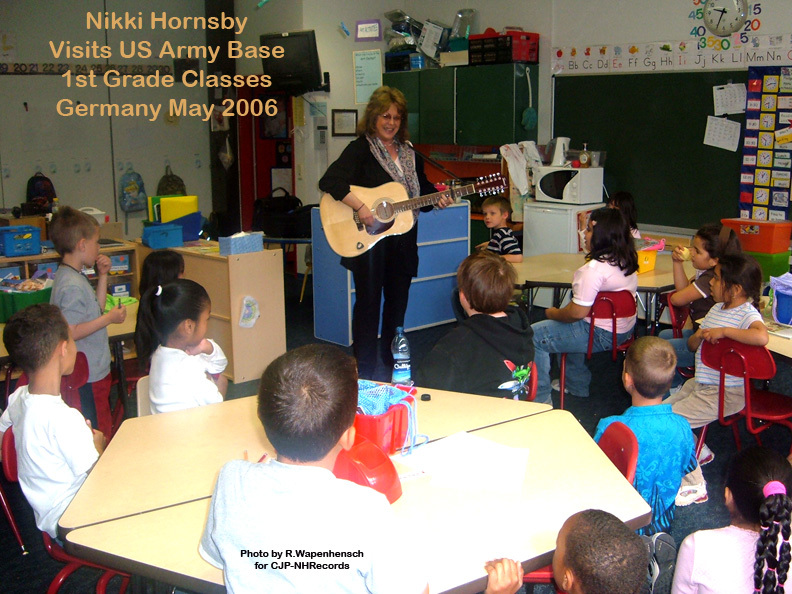 Above: Nikki always took time to visit grade schools to share music appreciation with the children. 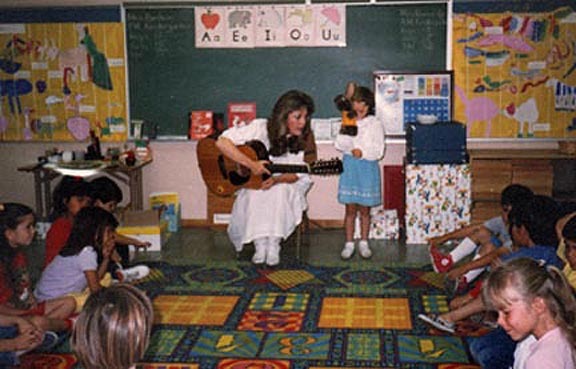 She knew it was important to education that the arts helps learning. 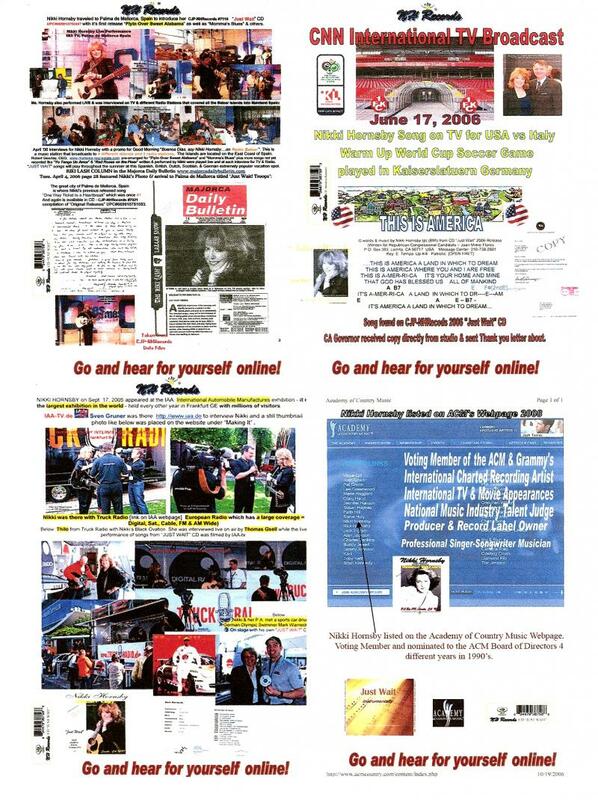 Directly Above: 4 sections on one Page. 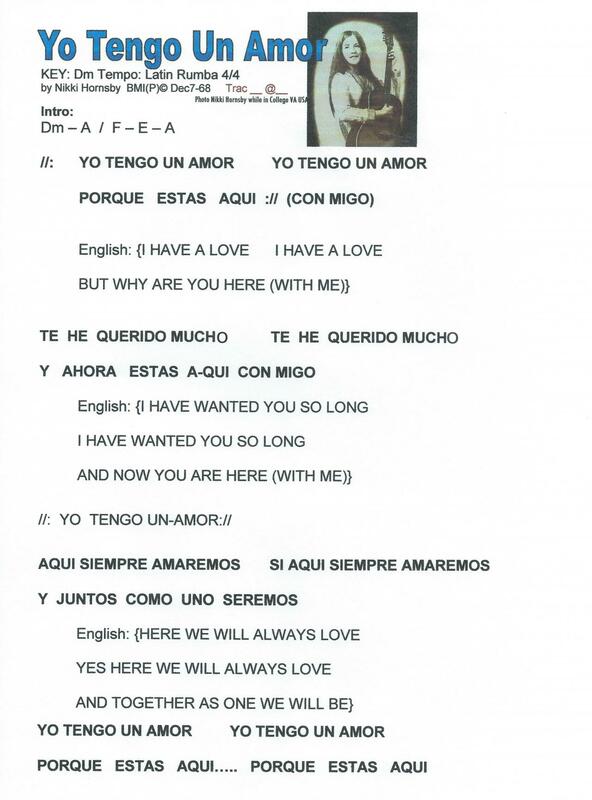 Top is on TV in Spain, #1 song notification from Spain, & some newspaper coverage.